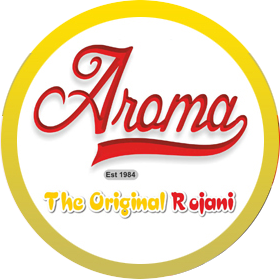 We at Aroma Indian Cuisine aim to bring all of our customers the very best value for money, services and food around Stoke on Trent. Give us feedback. Great value and quality tastes . All dishes beautifully cooked . Brilliant service and asset to Trent Vale! Excellent quality , good meat content to dishes ; fresh , juicy cuts never overcooked and fantastic fast website and delivery service.Never any problems with their great tasting food! Absolutely beautiful food!! Fresh and hot when delivered. Salad was fresh, naan bread was fresh, couldn't fault a thing about it!! Coke was ice cold..Highly recommended. Wouldn't go anywhere else now. Value for money with very generous portions. And free delivery. I had the aroma special and it was the nicest curry I have ever had! Food always hot and tasty!! Was disappointed though cos you always send us a load of free poppadoms but tonight you sent a measley one!! If knew you were not going to send the usual we would have ordered some!! Tasty food - delivered with great efficiency! Excellent food! Repeat custom guaranteed!